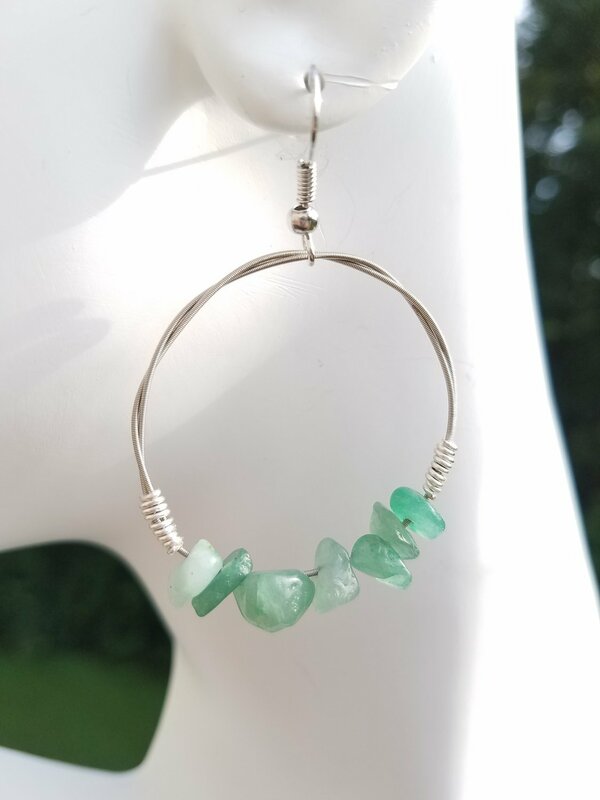 Adventurine Hoop Earring 1 1/2" dia. Adventurine Hoop Earring design created from one of Trevor Finlay guitar strings. ADVENTURINE~ Green Aventurine is known as the “Stone of Opportunity,” thought to be the luckiest of all crystals, especially in manifesting prosperity and wealth, or for increasing favor in competitions or games of chance. Its winning energy makes it a great ally for boosting one’s chances in any situation - a first date, tax audit, even landing a promotion. One needs only to be near it to derive its benefits.